First off, let me state my personal thanks and those of all Timezoners to Messrs. Kern and Friedberg who so graciously allowed us access to these images and text well before the show launch. The Portofino Automatic is a classic. With its discreet exterior, it has won the hearts of watch lovers all over the world. Its appeal lies in its unobtrusiveness. It has retained this, in spite of growing by four millimetres. 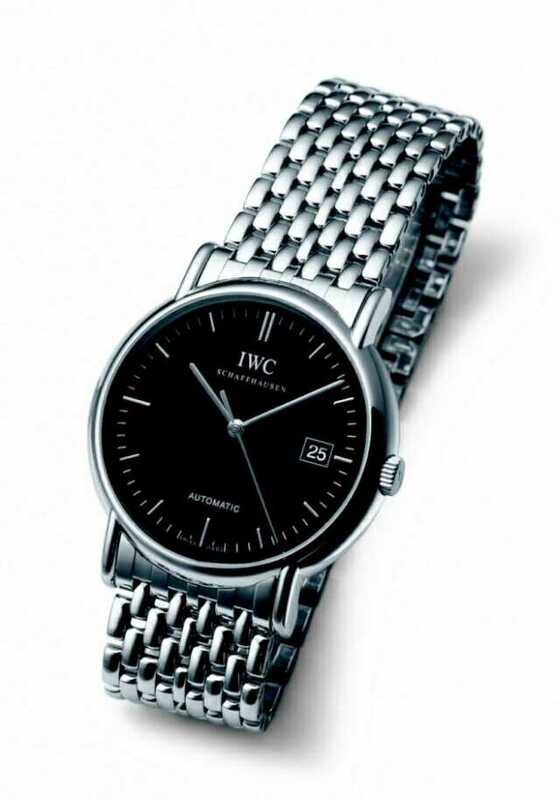 The Portofino Automatic, Reference 3513, is one of the most popular models from IWC. It has everything that a watch needs. It shows the hour, minute and second with three hands moving from the centre, and the date can also be read in the window in the dial at 3 o’clock. It is driven by a reliable mechanical movement with automatic winding, all packed inside a plain yet elegant case, available in 18 ct. yellow gold or stainless steel. The deliberate avoidance of creative excesses together with the overall balance of its proportions make this watch a classic. No wonder, then, that the Portofino has enjoyed uninterrupted popularity among watch enthusiasts since its launch in the eighties. A watch of this kind does not change fundamentally, but is groomed with a gentle hand. This is what the designers and engineers at IWC have done. They have increased the size of the case moderately, so that the Portofino does not look lost even on rather more strongly dimensioned wrists. The case has increased in diameter by four millimetres, to 38, and the bracelet lugs by two millimetres, to 20. The dial, bezel and the slightly convex sapphire glass have also been adapted to the new proportions. In order to guarantee the water resistance of 30 metres in accordance with the DIN standard, six screws now secure the back to the case instead of the four previously used. The Portofino Automatic has thus lost none of its qualities, even with its new dimensions. It remains a timelessly elegant and reliable traveling companion.